Mike Birbiglia is an actor, comedian and author, and in his one-man Broadway show called "The New One," he’s also a storyteller. This week on In a Broadway Minute, Theater Critic Howard Shapiro reviews the show, now at the Cort Theatre. Hear the review Friday (12/14) at 8 am and Saturday (12/15) at 10 am. 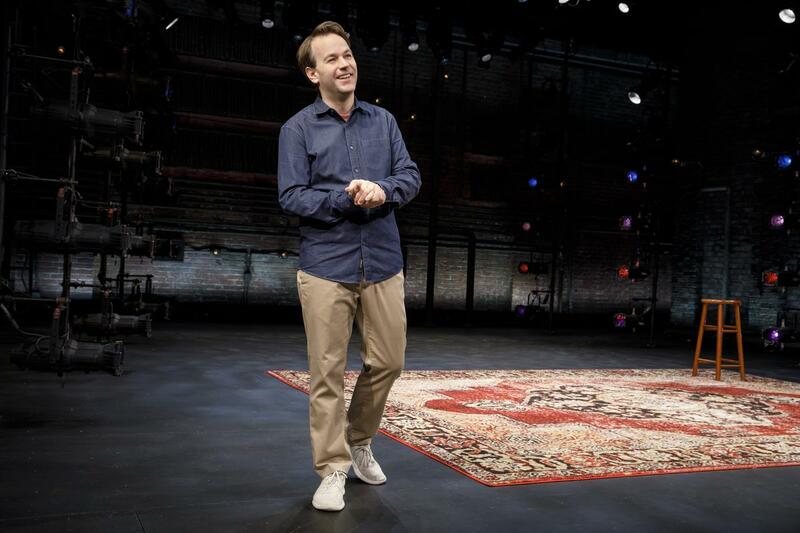 Mike Birbiglia in "The New One"